I hope you are having a happy week. It has been rainy and gray here this week. I have been avoiding the raindrops (and mud!) outside. This gives me extra time to read. I have a special book that I re-read this week. It was a gift from my dear friend Oz and his family. I love it a lot, and think you will like it too. I wanted to share a few pictures with you. This cute picture book is called Katie and the Puppy Next Door. 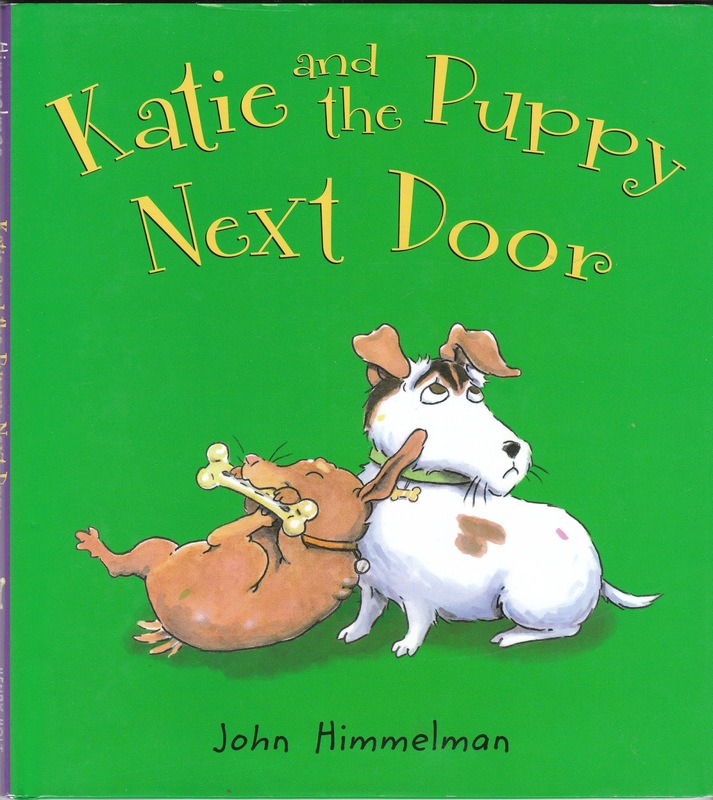 It was written by John Himmelman. 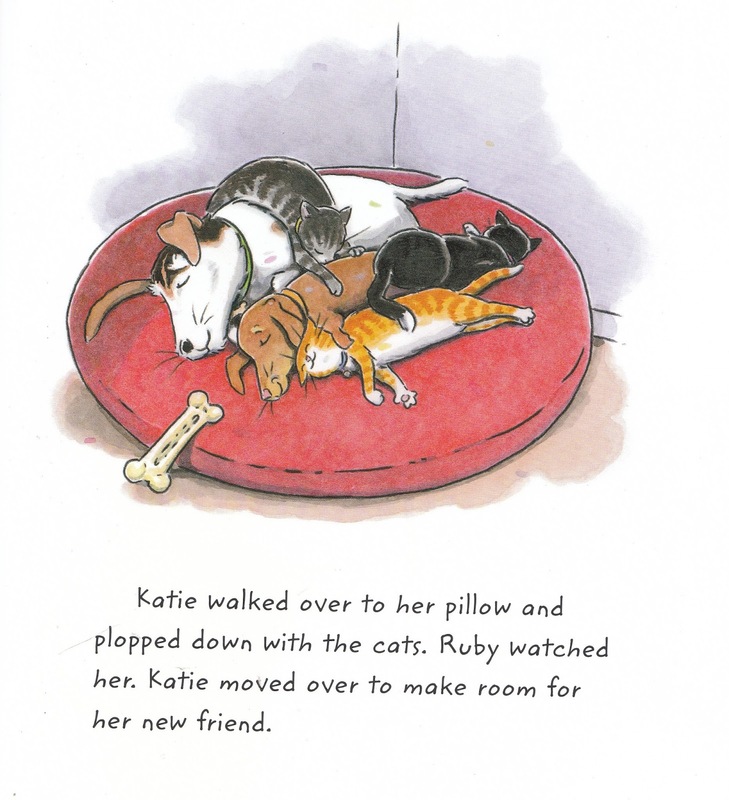 This is a special book because it is about a little Jack Russell Terrier named Katie, and her new neighbor, a red dachshund named Ruby. 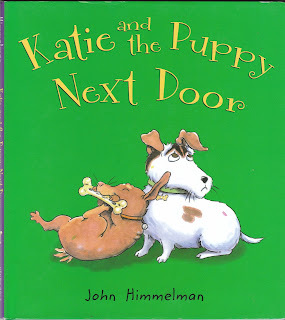 Remember that I am a "Doxie-Jack" (a mix of Dachshund and Jack Russell), so this is my favorite book EVER. 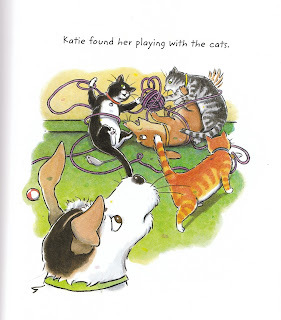 Katie lives in a pretty house with three kitties that she loves. When Ruby comes over, the kitties love her ... but Katie doesn't. Katie doesn't want to share her kitties, her toys, or her food. Ruby goes home after their play date - although they have not played. Then Ruby comes back another day! Katie decides to be sweet and try to share. She shares her food. She shares her toy. Then Ruby teaches her how to play with a toy together. 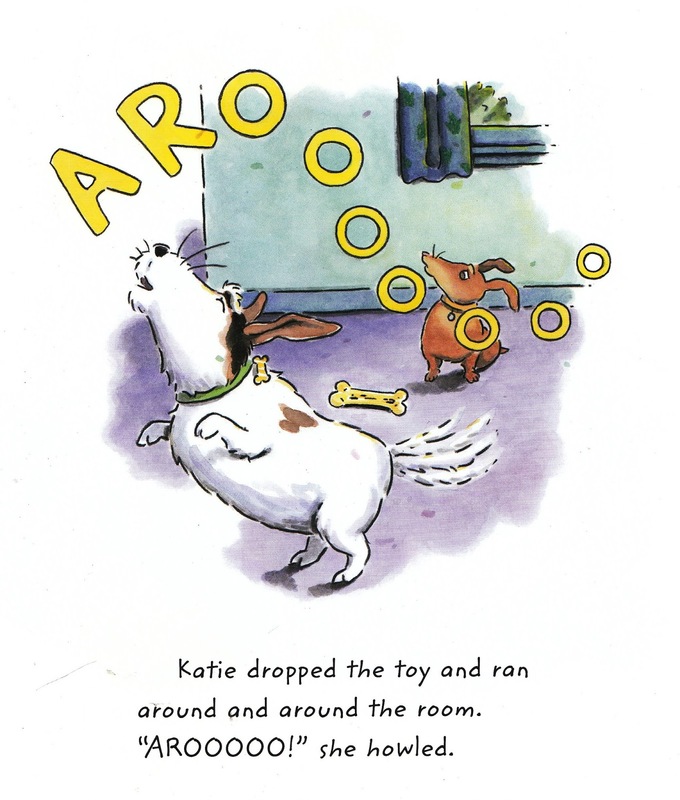 They run around and AROOOOOOO and have lots of fun together. After a while they get tired, and they curl up on Katie's big dog bed right along with her kitties. And they take a nap and they are friends forever. Now isn't that a nice story? I love it. The illustrations are extra cute, too. I thought you might enjoy sharing it as well. I'd love to hear from you in the comments. If you have any fun questions for future posts, please share them. aww I love that your dog is telling the story! Question about the book is it cardboard pages or paper? Thanks for sharing this story book with the world, Abby! 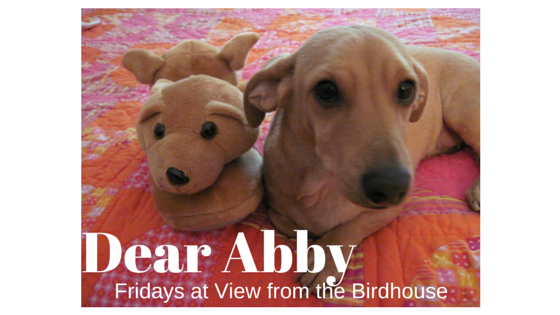 I am so happy that you have the same love of children's books as I do (especially when they feature dachshunds). 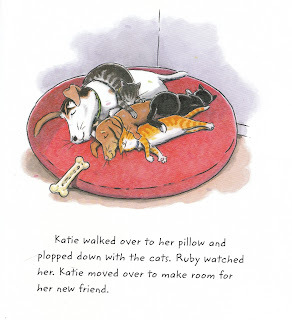 And this one is especially fitting for you Abby, seeing as the new found friends are a dachshund and a JRT. We find it amusing to see the dogs & kitties curled up together, not likely to ever happen in our home :). made some beautiful pictures all wrapped up like sardines in the bed. Looks like a very cute book. Thanks for sharing! Thank you all for the visits! Barbara, I love this book! It is the first I have seen with both a dachshund and a JRT as well. Jaden, I love hearing about Jessie the Jack, and seeing her pictures!